By 2032 the Scottish government aims to ban the sale of new petrol and diesel cars and vans, with some major manufacturers already halting the development of new petrol & diesel models by 2020. The increase in the number of electric vehicles on the road means that there will be a need for more public and workplace charging points. 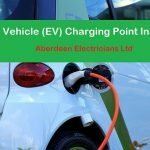 Aberdeen Electricians Ltd is an EVi network approved installer of home EV Chargers and workplace electric car charging points installation in Aberdeen and the surrounding areas. To help with the cost of electric car charging points installation the following grants are available for businesses, charities and public sector organisations. The Office for Low Emission Vehicles (OLEV) created the Workplace Charging Scheme to support organisations with the upfront costs of the purchase and installation of EV Chargers at work. This grant has been made available by the EST (Energy Saving Trust, Scotland) to encourage and businesses to install electric car charging points on their premises. Up to 100% of the full installation funded including groundworks, charging posts and road markings where applicable. In most cases a combination of both grant sources can be used. 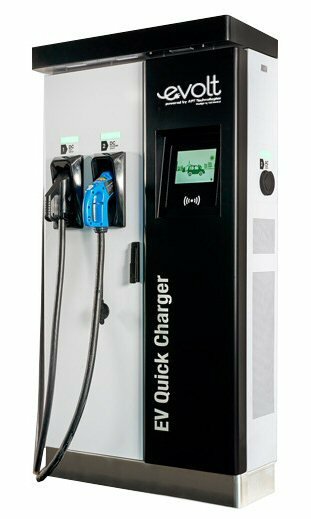 SWARCO produce a very comprehensive range of charging solutions and first-class technical support. SWARCO’s range of eVolt chargers are one of the most common chargers installed across Scotland, in public and workplace areas, due to their recognised exemplary build quality and back office support. We install a range of products from SWARCO and eVolt and provide vehicle charging solutions to suit all needs. By 2020 all vehicle chargers installed for public or workplace use and which are funded, either in part or in whole by a Workplace Charging Scheme, will be required to have SMART functionality. They will also need to operate on a SMART capable back-office, which will be required to be controllable by Network Aggregators or other bodies. 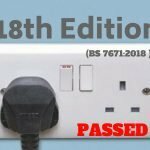 At Aberdeen Electricians we only install SMART EV Chargers and associated high quality hardware to assure that our installations meet these new regulations in advance of them coming into force. At Aberdeen Electricians Ltd we can offer a full installation service including groundworks, electrical protection and suitable road markings. From EV home chargers to 50KW Rapid Chargers for Public areas we can offer quality products to suit all needs and help you through the funding process to provide a stress-free experience. We are part of one of Scotland’s largest Smart Electric Vehicle charging installer network. The SMART EVi Network is run by EV Innovation who have partnered with SWARCO, one of the industry’s leading manufacturers of electric vehicle charging solutions. We also offer tailored maintenance packages for the life of each charger with a replacement charger being installed after an agreed period of time. 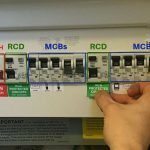 Get in touch today to find out more about our service agreements, and how they will benefit you and your installation. If you are interested please get in touch with Aberdeen Electricians to discuss how best to access and use Workplace Charging Scheme and EST grants to create the EV Charging solution that best suits your needs. We can even offer a free survey where we come on site with a SMART EVi and/or SWARCO representative to discuss your needs and the funding options available to you.